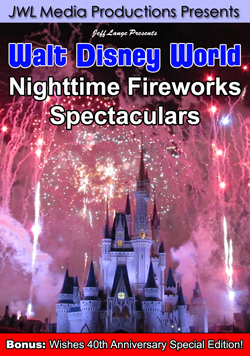 « MouseSteps Weekly Show #35 – Dining: SeaWorld, Epcot’s Germany Pavilion Biergarten, Disney’s Fort Wilderness Trails End Buffett, New Years Eve Fireworks at Disney’s Polynesian Resort! 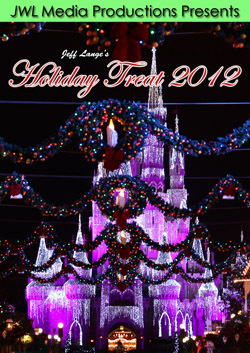 We’ve had a great time enjoying Christmas week at Walt Disney World and other parks and resorts in the area! This week, Mickey’s Once Upon a Christmastime Parade (below, left) has been playing for day guests after it’s run at Mickey’s Very Merry Christmas Party. 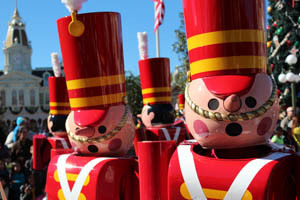 We always enjoy the toy soldiers (below, right)! 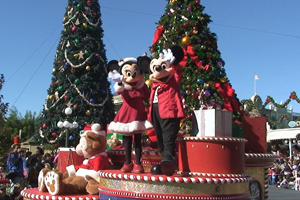 Video #1 – Mickey’s Once Upon a Christmastime Parade Daytime Version – Magic Kingdom, Walt Disney World – During Christmas week, the Magic Kingdom presents the “Once Upon a Christmastime Parade” as well as other shows that are previously only seen during Mickey’s Very Merry Christmas Party. 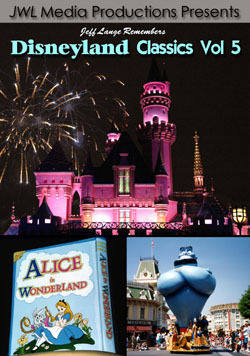 The parade includes Mickey and Minnie, Scrooge McDuck, Ariel, Chip and Dale, and many other characters! 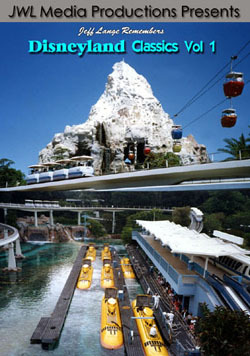 Speaking of toy soldiers, Chip and Dale were dressed to impress at Disney’s Contemporary Resort (below, left). This is the first time we’ve ever seen them in soldier outfits. 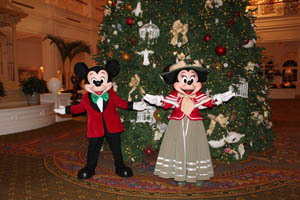 Most of the deluxe resorts featured character meet-and-greets in the days leading up to Christmas. 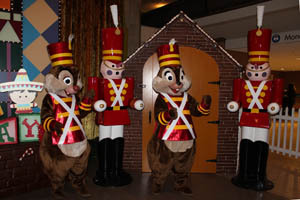 Video #2 – Chip and Dale Christmas Meet & Greet as Toy Soldiers, Disney’s Contemporary Resort – Disney World – Chip and Dale greet guests this year in toy soldier outfits for Christmas at Disney’s Contemporary Resort! This is the first year that we’ve seen these particular outfits. 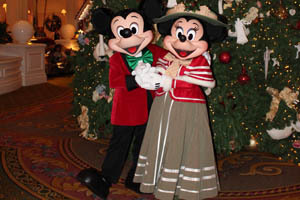 Mickey and Minnie Mouse met guests at Disney’s Grand Floridian Resort dressed in their Victorian finest (below, left and right). 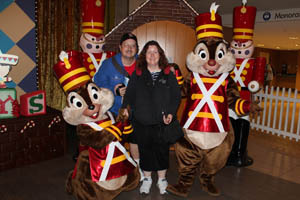 They had 3 or 4 different holiday outfits this year throughout the resorts! 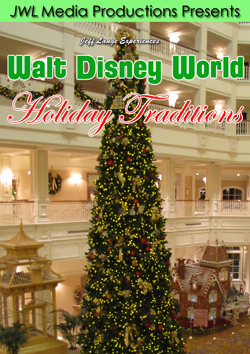 Video #3 – Mickey and Minnie Mouse Meet & Greet in Victorian Christmas Outfits – Disney Grand Floridian Resort – Mickey and Minnie celebrate a Victorian-style Christmas at Disney’s Grand Floridian Resort! 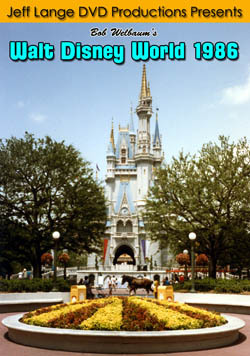 Donald and Daisy Duck were dressed in snowflake attire at Disney’s Animal Kingdom Lodge Jambo House (below, left). There was a nightly parade, and they were part of it on the night we were there (below, right). 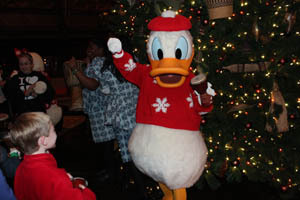 Video #4 – Donald & Daisy for Christmas, Disney’s Animal Kingdom Lodge, Walt Disney World (Jambo House) – Donald and Daisy Duck met with guests at Disney’s Animal Kingdom Lodge tonight in their Christmas outfits! 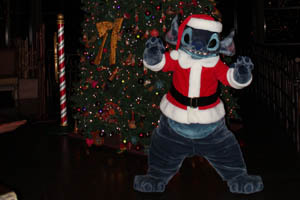 Over at Kidani Village, we found Stitch in his Santa outfit (below, left). 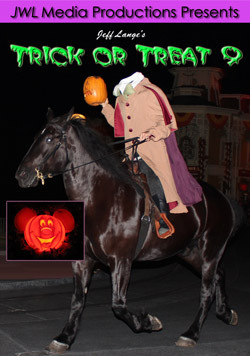 Stitch was in fine form, and even “licked” our camera before putting his hand up to his mouth (below, right). 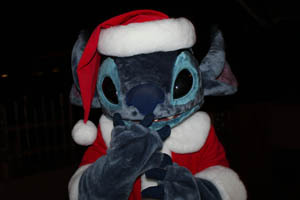 Video #5 – Santa Stitch Meet & Greet at Disney’s Animal Kingdom Lodge Kidani DVC, Christmas 2012 Disney World – Santa Stitch was greeting guests at Disney’s Animal Kingdom Lodge, Kidani (Disney Vacation Club building) for Christmas! 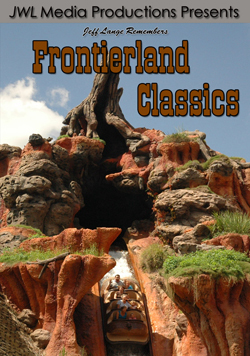 Our Christmas Eve tradition is to visit Disney’s Fort Wilderness Resort for the annual holiday golf cart parade! 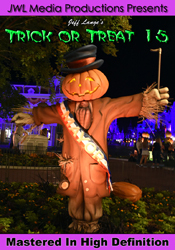 It isn’t nearly as long as the Halloween Golf Cart Parade, but still a lot of fun. 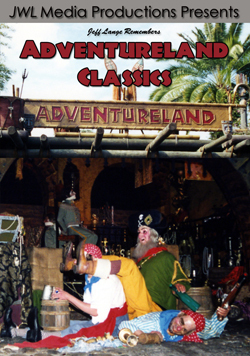 Donald Duck (below, left) sits in back of the Cast Member lead cart. 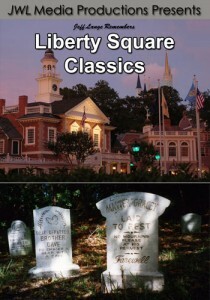 And our favorite? Santa and his reindeer (below, right). 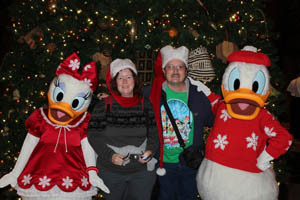 Video #6 – Disney’s Fort Wilderness Christmas Holiday Golf Cart Parade 2012 w/ Donald Duck, Santa & Mrs. Claus! 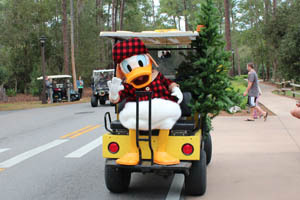 – Disney’s Fort Wilderness Campground has several golf cart parades this year, this is the Christmas version! 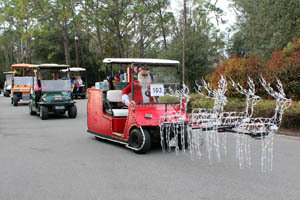 Guests of the Fort Wilderness resort dress up their golf carts, and this is the fabulous result. 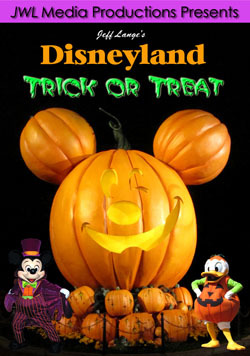 Donald Duck even leads! 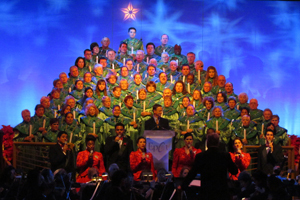 Christmas week is also our favorite time to see Disney’s Candlelight Processional at Epcot. 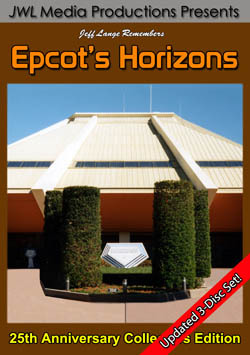 It never seems quite as crowded as at other times – likely due to seasonal passes being blocked out – and we’ve had the opportunity to see a number of shows. Some of our favorite narrators are here this week, including Gary Sinise (below, left and right). 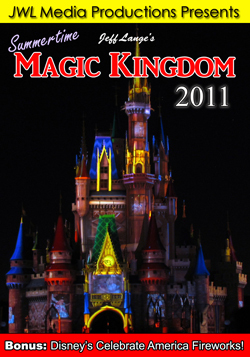 He narrated on several days including Christmas night. We enjoyed his tribute to our veterans as well! 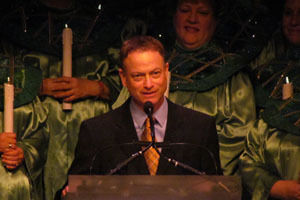 Video #7 – Epcot Candlelight Processional “Rejoice With Exceeding Great Joy” on Christmas, Narrator Gary Sinise – This is the song “Rejoice With Exceeding Great Joy” during Epcot’s Candlelight Processional on Christmas Night, the last show of the evening. 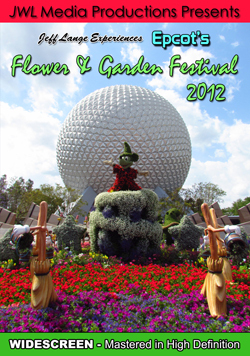 It features Gary Sinise as the guest narrator, along with the Voices of Liberty, Walt Disney World Orchestra, Walt Disney World Cast Choir, and a participating guest choir. 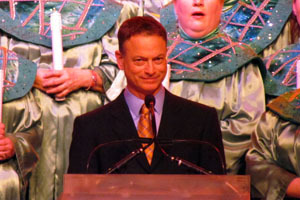 Sinise (below, left and right) hadn’t narrated Epcot’s Candlelight Processional in 4 years, and it was a treat to have him back! 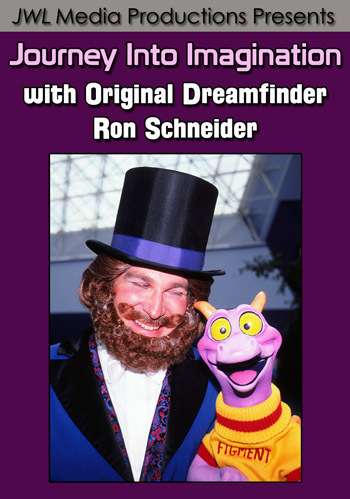 This was Christmas night – and his final narration for 2012. 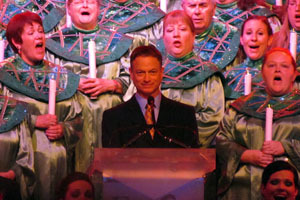 Video #8 – Gary Sinise in Epcot’s Candlelight Processional Christmas Day, Tribute to Veterans – Disney World – Gary Sinise narrated the Candlelight Processional on several evenings, this was Christmas night – and his final narration for 2012. Sinise pays tribute to the veterans in the audience, as well as to all who have served.